If you’re designing a website for your company, the design is essential to your success. It’s about much more than making a good first impression, although that’s a useful feature. According to a study from Stanford University, nearly half of internet users say that they consider the design of a website when deciding whether or not a brand is credible. This is important to consider when designing your company website. 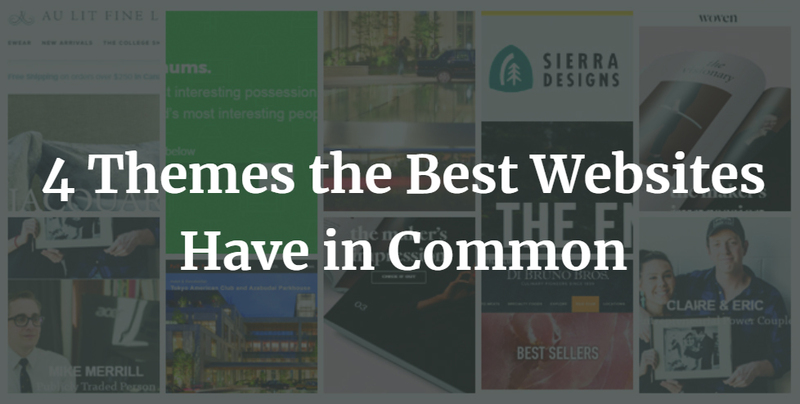 Here are a few themes you’ll start to see in the design of the very best sites. Most marketers view social media as the most important platform for reaching their target audience and growing brand awareness. This makes integrating it with your website an absolute must. Most website themes have the option to add buttons to your social media platforms. At the very least, you should use Facebook, Instagram, and Twitter. Depending on your brand, you could use Pinterest, LinkedIn, or Google Plus as well. Install buttons for each of these platforms on your site. Many websites use themes that are integrated with their Instagram accounts. It shows a feed of your latest Instagram images in the footer and/or the sidebar so that your brand is seamlessly connected on all platforms. This is a metric many consumers enjoy, and it helps to improve brand relations and cement the customer experience. If you’re trying to grow your social media counts and increase conversions on your website, this is one of the best things you can do. It makes it easy for consumers to share content from your website while shopping online. This seamless integration is also essential for connecting with your IG followers on a more personal level. Many consumers say they prefer the ability to communicate with brands using social media, and if they see that you’re connected while browsing your site, they’re more likely to reach out later on through their favorite social platforms. Today’s websites are all about visuals—it’s what consumers want. Unfortunately, many organizations haven’t woken up to the influential power of prioritizing imagery on their websites. Most importantly, today’s brands will use a combination of large, high quality images and videos in the background of their sites. According to usability expert Jakob Nielson, 81 percent of people only skim content they read online, and this goes for what they see on your homepage and webpages. At most, they’ll read 28 percent of the words on the page during an average visit. That’s why it’s so important to use images to do the talking. Images should be large, high-quality, and relevant to your brand. If possible, have photos taken professionally for your site, since consumers can often tell when you’re using stock photos, and they might identify your brand as inauthentic. Video is perhaps even more important than images. Nielson says that nearly 80 percent of internet traffic is video content. A HubSpot survey agrees with his assessment, pointing out that more than half of consumers say they wish there was more video content from their favorite brands and businesses. The best websites are using video as the background of their pages. You could have it play automatically or allow the user to push play, but it’s a great way to increase engagement and traffic on your webpages. With well over two thirds of online searches coming from a mobile device, it’s absolutely imperative that your website design is made to reflect that. The main components of responsive design that every website should include are a fluid grid, flexible text and images, and media queries. These features make your content searchable and easy to see on any size device. A key element of responsive design is the use of hamburger menus. Rather than having the tabs run across the top, there are three lines in an upper corner (hence the name ‘hamburger’). Website users know that if they click this button, it will reveal a navigation menu, so they can get where they need to on your website no matter their screen size. If you pay attention, you’ll see this menu often. It was once only used for responsive design, but now it’s becoming a standard in web design. You’ll even see it at the top of Google Chrome and on your Google account. The hamburger menu adds an extra step for users, but it helps you maximize your website real estate. Navigation menus typically take a up a lot of space that you could be using to advertise or promote your business, and the hamburger menu corrects that. Customization has been a common theme for years, and artificial intelligence, unique design ideas, and companies that understand their target audience are taking it to an all-new level. Any opportunity you can take to customize the user experience on your website is a dream come true for your design. He uses the example of Amazon, which greets customers by name, offers personal shopping recommendations, and helps you create wish lists. 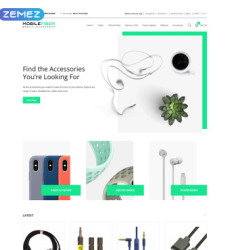 They have many other customization options like one-click ordering, subscription services on your most-used products, and even customized personal or company pages. 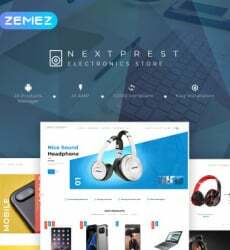 This seamless user experience helps to endear customers to a company while promoting the use of its products or services. There’s no better way for companies to connect online than through a website that understands the unique needs of its target audience.